The Rocky Mountain Horse breed originated in the united states in the late 19th century in the Appalachian mountains of eastern Kentucky. 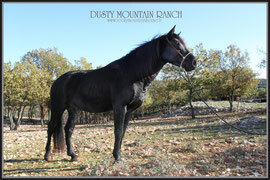 Old Tobe was the founding Rocky Mountain Stallion. His origins were Spanish/ Barbe. He was bred to mares with an ambling gait. He passed on to his descendants his excellent character along with his unusual colouring (chocolate with a flaxen mane and tail). Sam Tuttle, Old Tobe’s owner and first breeder of Rocky Mountain Horses decided to favour this new race because of it’s many excellent qualities ; smooth gait, gentle temperament, intelligence and sheer beauty. 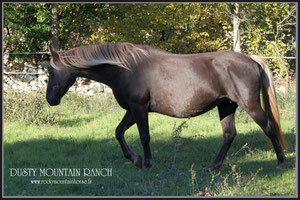 All lines of Rocky Mountain Horse descend from this legendary stallion. THE ROCKY MOUNTAIN HORSE ASSOCIATION . In 1986, the RMHA set out to preserve the characteristics of the breed. There are 17000 horses registered today. In 2009 there were only around 100 RM horses in Europe. In 2010 the CLUB EUROPEEN DE ROCKY MOUNTAIN HORSE, recognised by the RMHA, was established. 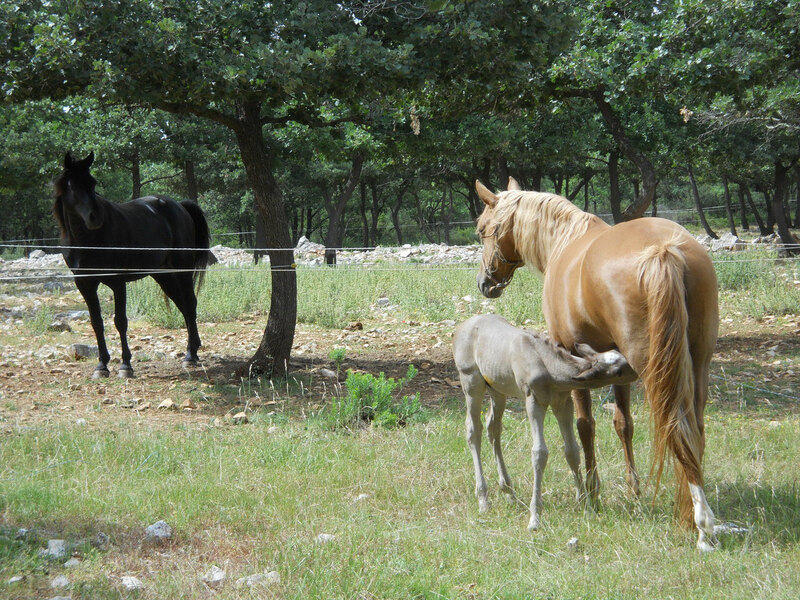 Horses must be registered with the RMHA at birth and genetically tested to prove that the progenitors are already certified. 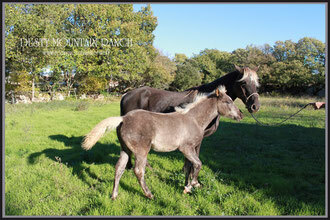 For full certification the horse must show the four beat gait natural to Rocky Mountain Horses. Build ; solid with large but well proportioned bone structure. Wide chest, sloping 45 degree shoulder ;dished face ; well shaped fox ears. Colour ; Solid body colour ; no white above the hock; no excessive facial markings. Coat colour may be ; champagne, sorrel, chestnut, bay, roan, grullo, grey, black, not forgetting the most popular taffy ie chocolate with flaxen mane and tail. Gait; The 4 beat gait, also called tilt, rack, single foot amble ; the same speed as a trot but very smooth (no need for posting) and natural to the breed. The horse always has a foot on the ground which explains the extraordinary gliding sensation of this gait. Characteristic of the breed, this gait is becoming much sought after, because, as well as being extremely comfortable, it conserves the energy of both horse and rider on long treks. This fifth allure must be innate and not acquired. As with the Icelandic pony’s tolt, the particularity of this gait is that one foot must be on the ground at all times. 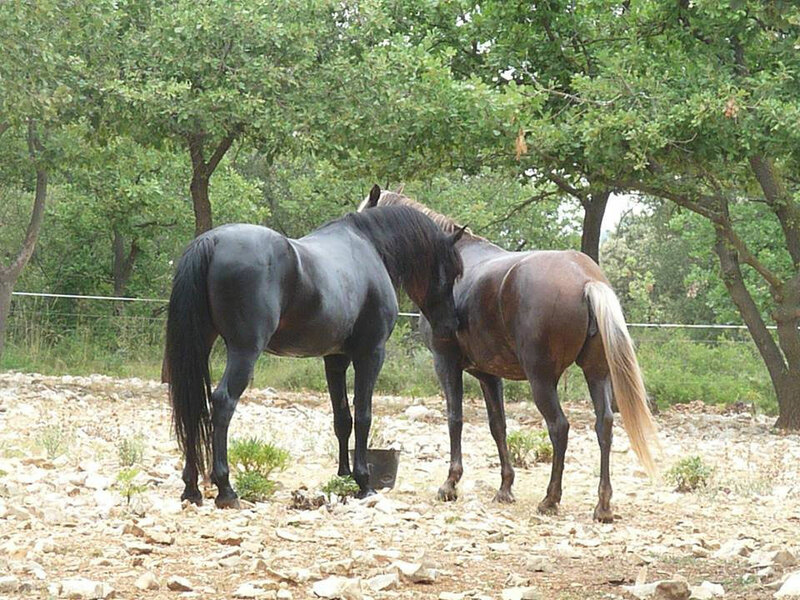 Character ; these horses are well balanced mentally. Gentle and intelligent (often with a good sense of humour). 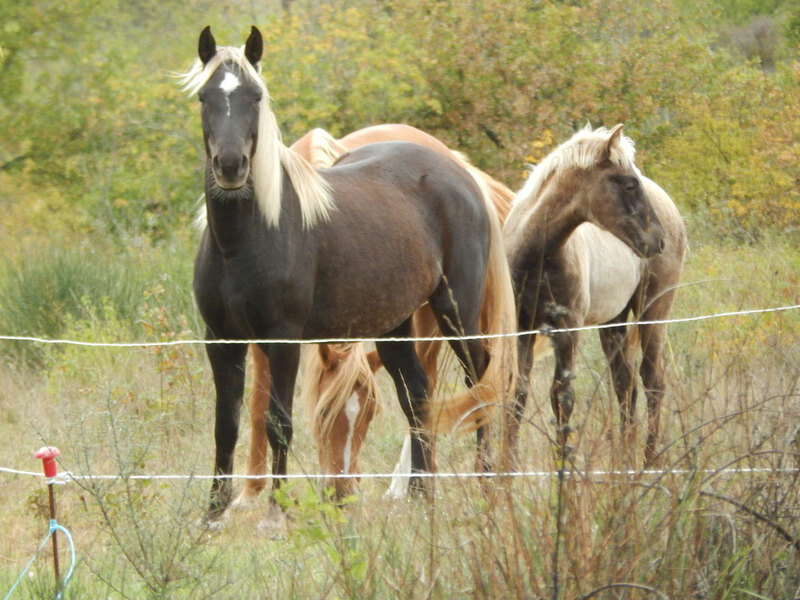 Rocky Mountain Horses tend to cooperate with their humans during their handling and training. Rocky Mountain Horses are the ultimate leisure horse. Sure footed, calm and confident.